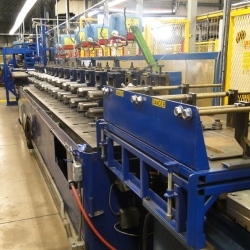 BOFMW houses two Roll Forming Production Lines. 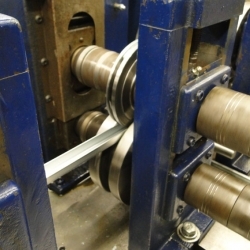 Each line is perfect for Custom Blanks up to 36" wide and infinite length. 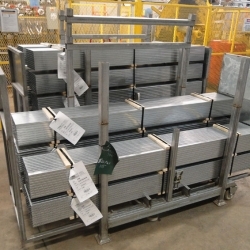 These production centers are ideal solutions for high volume repeat production of contoured materials like channels, angles, decking. With progressive dies for profiling and inline punching capabilities, BOFMW can pump out your next channel, decking, or siding project at close to 400 feet per minute! Advanced CNC programming modules and drive control servos provide unparalleled flexibility and accuracy in all pre-press operations. 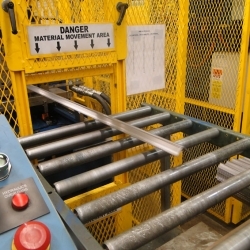 Post punching and notching operations are also available on one of All Out Roll Forming's many press and iron-worker stations should your product require it.